As of Aug-2018, Google trends and Gartner has identified Workday as Leader in the industry. 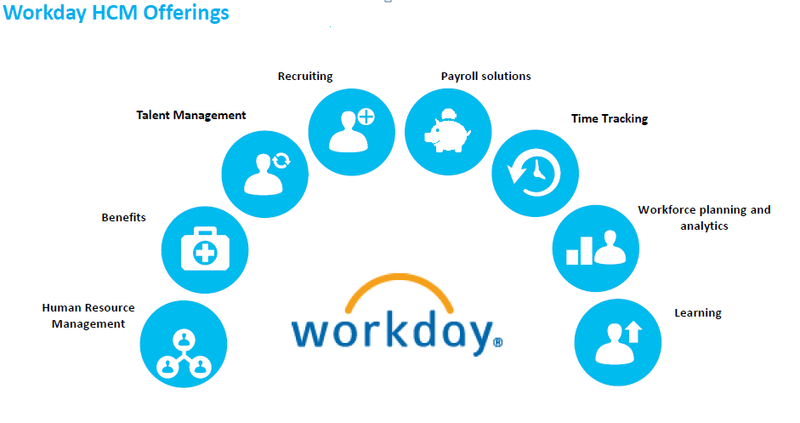 Workday is an HRMS ERP system that supports Hire to Retire solutions. 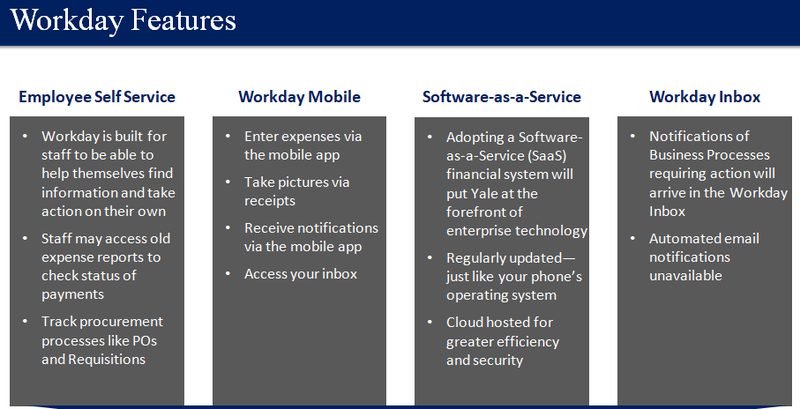 Workday is a web-based ERP Software vendor an on demand (Cloud based) that specializes in Human Capital Management and Financial Management applications. Workday provides management with the way to oversee employ data, time tracking, procurement, compensation and Benefits, expense management and financial accounting. With a single system for finance and HR, Workday gives you total visibility so you can make decisions based on data, not guesswork. Its approach ensures the best security and integrity of you data, and protects against various security threats as well as data breaches. WORKDAY also selects the most reliable and secure data center provides as its partners. Workday Assembly is our main tool to build data-exchange type of integrations. Workday Integration server is a middleware server that can host integration interfaces such as assembly and Web Services. Workday Integration Sever was called Cape Clear Server prior to Workday’s acquisition of Cape Clear. Workday Studio is an Eclipse based development client for building assemblies. 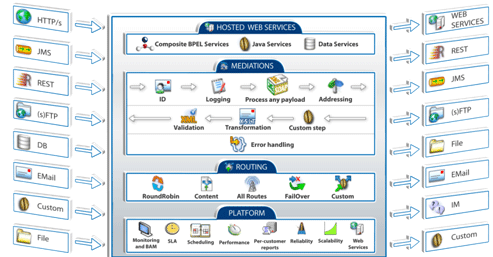 There are high-level components such as transport-in, transport-out, and mediation that can be added to an assembly project via drag and drop. why are we implementing it? 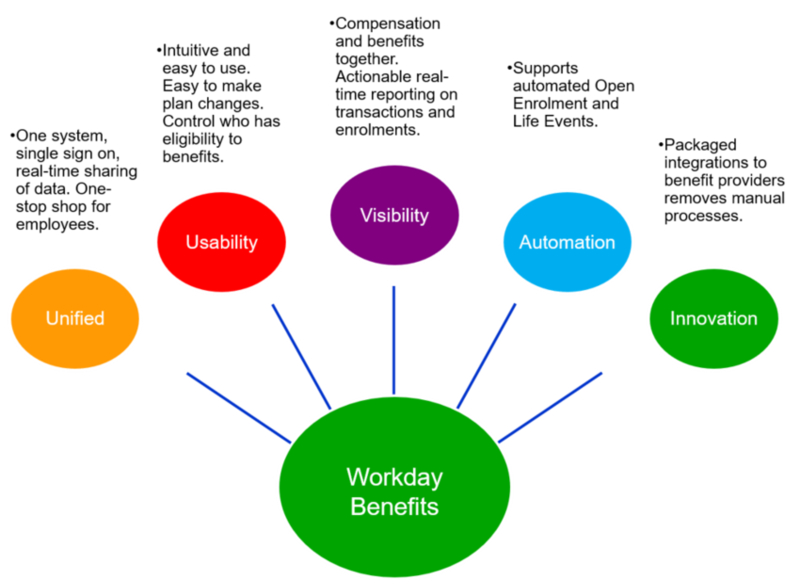 Workday is the group-wide system for Human Resources (HR). It is a platform for consistent HR processes and information. It is one of the tools we require to manage the organization’s global growth. With Workday, every employee will have access to their profile and visibility of the group-wide organization chart. Managers will have a reliable source of information about their teams and HR will be able to work more efficiently. Workday Human Resource Management offers intuitive capabilities to help you effectively organize, staff, grow, and pay your global workforce. Manage the full hire-to-retire lifecycle in one simple, easy-to-use system. Establish, manage, and adjust benefit plans to meet the different requirements of your business within a single, unified system; plus, gain access to a wide inventory of packaged combinations across all major categories. Straighten goals, develop talent, and plan your leadership succession. Hire workers with insight into career paths, and equip management with the insight to identify and grow worker skills and contributions. Sourcing, recruiting analytics and complete perceptibility into the entire talent pipeline. Workday Payroll enables the user to pay correctly and flawlessly to everyone in your total workforce — Deliveries in the cloud, no matter where they are. Humiliate labour costs, reduce assent risks, and Boost up the worker fecundity. Workday delivers the collaborative tools and a unique insight your organization needs to create active workforce plans, help your leads make ultimate decisions and concur with your business goals. Workday learning will enable employees to gain and share knowledge anywhere through a social and engaging experience. 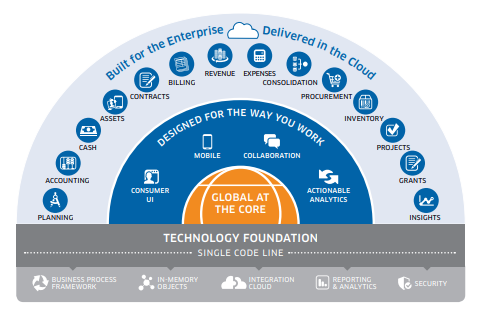 Workday Financial Management is created on a versatile, worldwide establishment that furnishes organizations with the core money related administration tendencies anticipated from a cloud arrangement. Go past the fundamentals of bookkeeping. Workday gives you constant business knowledge and finish inner control. Settle on the correct choices at the ideal time with in-memory bookkeeping and examination. Deal with all action with installed, adaptable business forms. React to change rapidly with arrangements instantly reflected crosswise over Workday. Bolster worldwide activities midway with multi-element, multibook, and multicurrency capacities. Manage the whole contract-to-cash lifecycle with a single finance system and quickly accustom to emerging ordinances. Speed up cash flow while reducing inaccuracies in financial reporting. Quickly turn to new revenue identification norms and diminish audit costs. Automate billing methods for different types of products and aids. Enhance estimating with continuous perceivability into finance streams. Efficiently manage touring and entertainment expenses and clarify cost reports to increase accuracy and reduce costs. Seize receipts and submit expense reports on any device. Assure rapid enactment with a consumer-like experience on desktop and mobile. 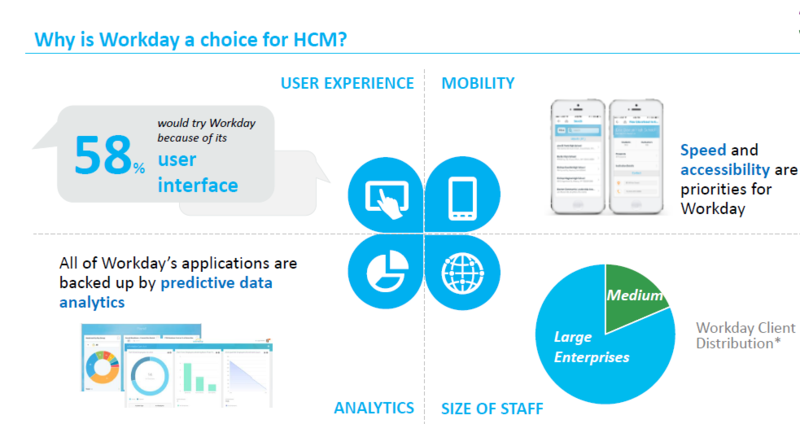 Diminish administrative work by leveraging representative data in Workday Human Capital Management. Mechanize cost administration forms while guaranteeing control. Increase ongoing perceivability into worker go through with the multidimensional examination. Streamline all appearances of indirect procurement in one system to upgrade operational effectiveness and Control. Design and present orders for assets and services with a consumer-like experience. Manage the RFQ method for goods and services, and compare supplier tenders to recognize cost savings. Empower providers to self-enroll and keep up their information, similar to address and to save money guidelines. Design endorsement work processes and spend approvals for better control. Comprehend spending patterns and monetary effect on the association. The new approach to established materials controls with complete visibility across your internal supply chain. Describe and determine inventory in locations based on usage type. Materially count inventory and record benefits from your mobile device. Refresh stock automatically and trace the delivery of goods to fulfilment. Picture inventory cost by spend division to understand what’s being demanded. Manage your projects and your ability in a particular system, resulting in empowered teams, happy clients, and improved profitability. Quickly view essential project details, including budget, estimate and plan, stock demand, utilization, status, and more. Automate billing and taxation identification to streamline the contract-to-cash cycle. Locate current project data, cost reports, and time record on any device. Bolster the entire venture lifecycle from asset task to charging. Handle the requirements of the most complex grant—all while increasing clarity and control into grant activity. Promote assent with broadcasting demands by guaranteeing all exchanges are precisely followed. Oversee concede proposition and spending plans halfway and give an account of honours against recommendations. Computerize the full post-grant procedure to enhance exactness, perceivability, and consistency. Provide a steady and simple to-utilize interface for all clients—representatives, administrators, officials, and reviewers. Workday we can access through Tenant. A tenant is any application that requires its own secure computing environment. Each Workday customer has their own secure tenant that only they can access. When user makes changes to the system through configuration, these changes will only be reflected in tenant and will not be visible to other customers. Here you can see the login page of Workday Tenant Access. Here you can see the Workday Tenant Access Home page. Hi Mahesh, I am looking for Workday tenant access to practice.Can you pls help? IF you have further queries please ping us via chat we will surely assist you for the same.